Check out my story “Carnivorous Fog: Avoidance, Survival, and Eradication Strategies” on Mad Scientist Journal today. Mad Scientist Journal publishes stories in the form of fictitious scientific papers. This paper is set in the same place as my fairy tales, although at a different time. The inspiration for this story came from my Nanowrimo novel; the novel is sort of a wreck, but it gave me several fun ideas. Most excitingly, this is the first thing I’ve published in the Vironevaehn universe, one that I started nearly 17 years ago. Hopefully it doesn’t take another 17 years for the next publication. Here’s an accompanying illustration I did after the story. 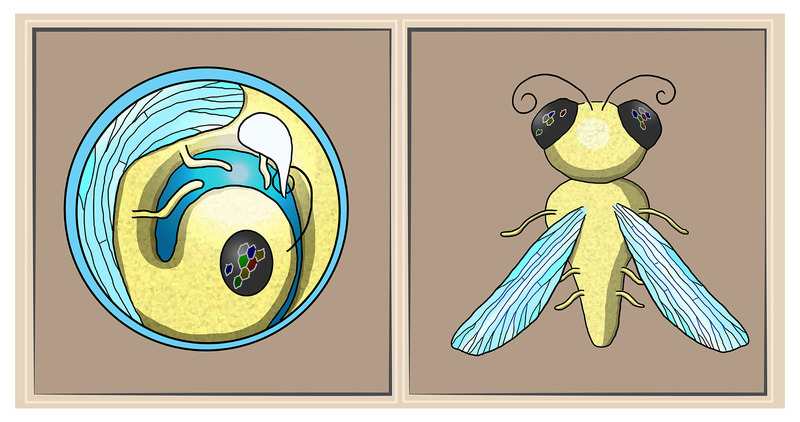 On the left is the “encapsulated” insect, while the free insect is on the right. This entry was posted in Uncategorized and tagged 17 years, carnivorous fog, fog, insect, mad scientist journal, nanowrimo, vironevaeh on March 31, 2014 by Vironevaeh.